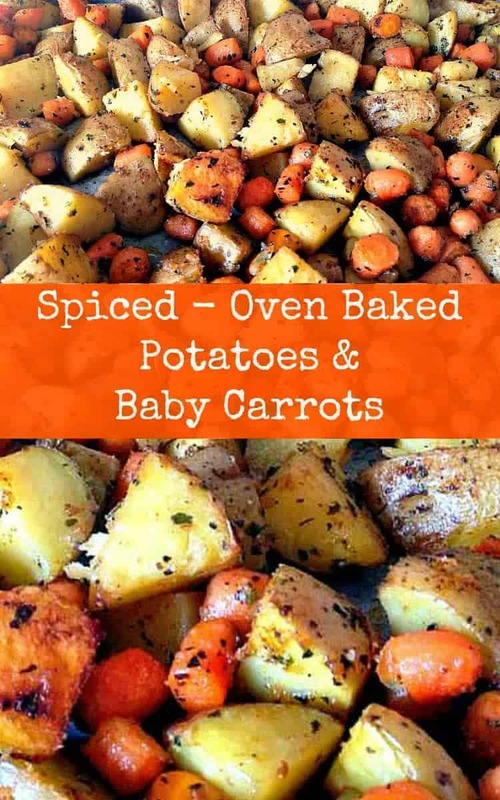 Spiced – Oven Baked Potatoes Baby Carrots. A popular family recipe and very flexible with the flavors and ingredients. 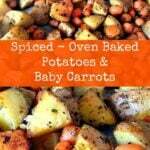 Spiced – Oven Baked Potatoes & Baby Carrots! This is a wonderful easy and very flexible recipe where you can add to or omit parts to suit your family’s taste. Any root vegetables will work with this recipe, such as turnip, butternut squash etc, just make sure everything is cut the same size for even cooking. 1/4 Cup Olive Oil *** You made need less or more. Just enough to coat everything. Please note, if using spice mixes which contain salt, such as Garlic Salt, you may not need to add the salt listed in the ingredients. 3. Add the oil, spices and herbs to the bowl and toss until evenly coated and spread onto foiled baking pan. 4. Place in the oven and bake for around 30 – 40 minutes until golden. Halfway through cooking, use a spatula and turn the potatoes and carrots so they cook evenly. Check after 30 minutes if done as all ovens will vary. *** You can also pre cook this and wrap in a foil parcel and pop on the grill /bbq until ready for serving. If you don’t want to pre cook in the oven, please allow a little extra time for BBQ-ing! Add the oil, spices and herbs to the bowl and toss until evenly coated and spread onto foiled baking pan. Place in the oven and bake for around 30 - 40 minutes until golden. 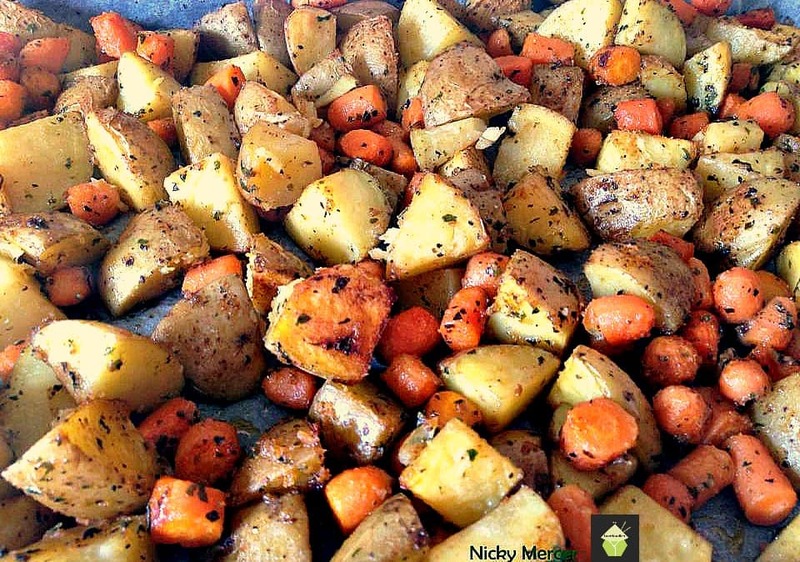 Halfway through cooking, use a spatula and turn the potatoes and carrots so they cook evenly. Check after 30 minutes if done as all ovens will vary.